Crowcon Detection Instruments has launched a new dual range portable monitor to add to its acclaimed Gas-Pro range. Gas-Pro TK has been designed for use in specialist inerted tank environments to monitor levels of flammable gases and oxygen. An environment where standard gas detectors will not work. In Tank Check mode, the Crowcon Gas-Pro TK (rebranded from Tank-Pro), monitors concentrations of flammable gas and oxygen, checking that an unsafe mixture is not developing. It uses dual IR sensor technology which detects the spectrum of possible flammable gas concentrations from high %vol to low %LEL. The device auto-ranges, switching between %vol and %LEL as gas concentration demands, without manual intervention, and notifies the user as it happens. “What makes this detector special is the fact that the dual IR is not inhibited by high concentrations; nor does it require oxygen to work - unlike catalytic bead sensors which are totally unsuitable for this application”, adds Macrae. The Gas-Pro TK is available calibrated methane, propane or butane. With IP65 and IP67 ingress protection, Gas-Pro TK meets the demands of most industrial environments. With optional MED certifications, it is a valuable tool for tank monitoring on-board ship. 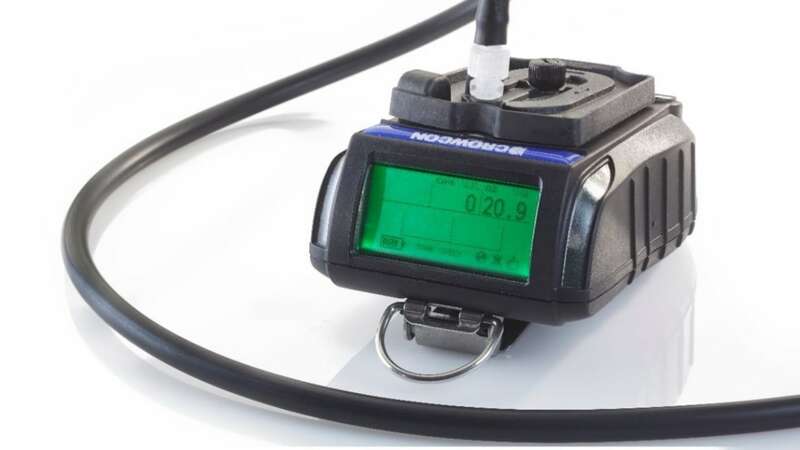 The optional High H₂S Sensor addition allows users to analyse possible risk if gases vent during purging, as well as the potential risk from pyrophores. With this option, users can monitor over the 0-100 or 0-1000ppm range. As with other units in the Gas-Pro range of detectors, Gas-Pro TK has the additional benefit of offering full personal gas detection and confined space pre-entry check functionalities. Crowcon make gas detection instruments for oxygen, flammable and toxic gas hazards. Fixed gas detectors protect plant; portable gas monitors protect people; and control panels integrate gas detection into engineered fire and gas fixed systems.